FAB Corporate and Media Productions. Butch and Nelson Mandela at his home in Gunu, just after we shot an interview with him and his wife Graca. The most humble and gracious man I've met. 06.02.2007 FAB Corporate and Media Productions. 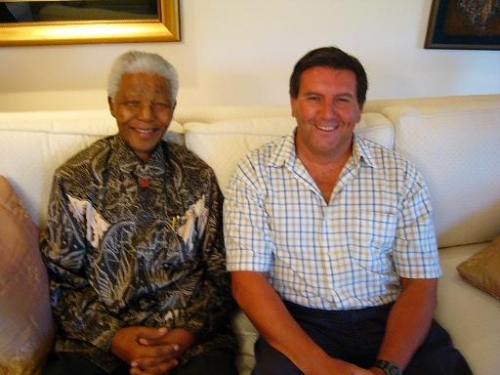 Butch and Nelson Mandela at his home in Gunu, just after we shot an interview with him and his wife Graca. The most humble and gracious man I've met.